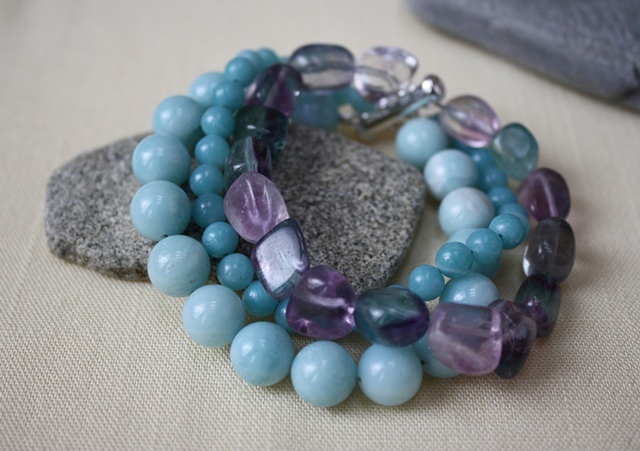 Amazonite pairs with flourite in this soft toned bracelets. Three strands of beads are finished with a sterling silver slide clasp. A fine silver toggle may also be used for closure on this piece. Approx. 7 3/4"